LDS apostles’ birthright: Alienating and angering anyone who isn’t LDS. When I was in Greece this summer, I bought Pat Bagley a set of Greek worry beads. As editorial cartoonist for The Salt Lake Tribune, I figured he needed them. Worry beads are not prayer beads. Worry beads are for bouncing around in your pocket, for dinking around with, for twirling, for flicking back and forth. They’re basically just something that Greeks use to keep their hands busy between cigarettes. Anywhere in Greece that you can find worry beads, you’re also sure to find all manner of “evil-eye” trinkets. Many cultures have evil-eye traditions, either to cast a spell on an enemy or to offer protection from one. In modern Greece, and despite some villagers who still swear by their mystical powers, the evil eye is mostly a means to take a few Euros from silly tourists. I killed two birds with one stone by buying Bagley a set of evil-eye worry beads. From here on out, Bagley has nothing to worry about. There’s a bead for Gayle Ruzicka and another for Sen. Chris Buttars. There’s one for County Councilman Randy Horiuchi, just in case. And there’s one for the guy who signs Bagley’s paycheck, Dean Singleton, who would dump Bagley tomorrow if he weren’t making him money—really, is there any other reason to read the Tribune editorial page? Well, the letters, maybe, and judging by them, Bagley may not have enough evil-eye beads to make a difference. 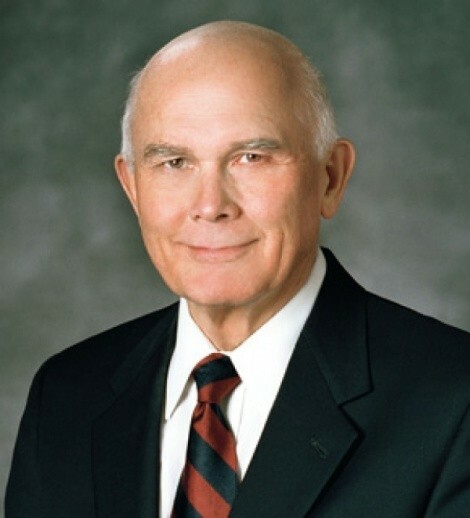 Today, for instance, a Tribune reader named Lynn D. Wardle—a BYU professor, no less—challenged Bagley for his take on the recent controversial speech delivered by Elder Dallin H. Oaks, an apostle for the LDS Church. Attempting to defend his faith, Oaks managed to rile blacks, gays and most of Vermont, but not Wardle. Oaks is not the first LDS apostle to put his foot in his mouth. It seems a birthright to be named as an LDS apostle, then to set about alienating and angering anyone who is not LDS. From Parley P. Pratt (alleged to have been shot in the back by the husband of a woman Pratt was said to be seducing into becoming his ninth wife) to Bruce R. McConkie (who said that “negroes” during the wars taking place in the LDS preexistence weren’t as valiant as other races, and were thus cursed in this existence and denied LDS priesthood) and Bruce C. Hafen (who recently assuredly claimed homosexuality is not found in one’s DNA), certain LDS leaders have done more to burn the bridges of unity than to build them. Oaks is among that divisive group. To his credit (or blushing red face, it’s not known which), in 1978, when the LDS church unveiled its revelation that members of the black race could indeed attain priesthood rank in the LDS Church, McConkie didn’t skip a beat. He said he was merely commenting on information known to him at that time and with the new information he now had, bygones were bygones, and for everyone to forget everything he previously had said about blacks. As cynics have said ever since, the first to “forget everything” was the BYU football coaching staff. For the past 30 years, blacks have been playing valiantly at the running back, cornerback and safety positions on the BYU football team, but not on the interior line. Bagley drew a cartoon that not only skewered Oaks, it made a souvlaki out of him. The cartoon shows Oaks befuddled by a litany of actual biases endured by gays (from being denied marriage and service in the armed forces to losing their jobs for being gay), and wonders if Oaks really knows what it’s like to be gay. Oaks doesn’t, which is excusable, but what isn’t excusable is that Oaks is also intolerant. And blind. His words speak to that. He speaks for millions of people, including my LDS friends and neighbors. Some agree with Oaks; many don’t. But, Lynn D. Wardle agrees with Oaks and thinks Bagley is the bad guy. Wardle is a frequent apologist for real or perceived LDS bias against gays. If you can believe Wikipedia, he’s an alleged paid hired gun for groups that advocate denying equal protection to gay couples. That’s what it’s come to. It’s a frequent method of defense, to attack the accuser. It doesn’t change the truth, though—Oaks went far overboard while speaking freely in a free society about losing the religious freedoms that he practices daily. If he were right, could he have done that? His “persecution” is an acorn next to the mighty oak of the black civil rights movement. I still have Bagley’s beads. I better get them to him, pronto. Judging by other negative Bagley letters, he’s going to need them.